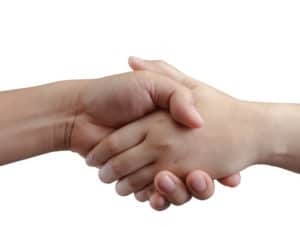 In the world of business "closing the deal" is of paramount importance to business success and doing so often requires a highly nuanced understanding of sales psychology, negotiation tactics and a proven process for employing both. In the world of martial arts the lingo we use may be different but the process and skills needed to be effective are the same regardless of what we call it. Proven conversion processes can dramatically improve conversion results in several aspects of your school operation. People are people and the psychological principles and processes that apply in closing sales in the business world also apply in the martial art world. What is the average lifetime value to your school per campaign respondent who converts to a paid student enrollment? How much can you afford to invest to attract each new student prospect who contacts you? What marketing channels do you use to attract prospects? How much do you invest monthly in promoting the visibility of your school? What % of each target audience typically responds to your marketing campaigns? Based on the cost of each promotion campaign, what did each respondent cost to acquire? How do you describe your school's programs to the public? Do you answer calls live? Do you use a script when speaking with a caller or when calling a prospect? Do you use Google Ad Words? Do you feature your school in banner ads? Do you boost posts on your Facebook school page? Do you focus on witing site content to attract organic seach results? Does your website offer an inceive for a visitor to take action during their current visit? What % of your website visitors convert to newsletter subscribers? What % of your website visitors convert to signed up and paid online trials or Introductory courses? Do you follow-up with those who made appointments to help encourage them to keep their appointment? How do you initiate follow-up? What % of scheduled appointments do you conver into kept appointments? Do you use a standard 1st visit presentation in your school? Do you use a standard 1st lesson format for new students? How many lessons does your trial program or Introductory course consist of and why? What % of kept appointments do you convert to signed up trials or Introductory Courses? What % of the students who complete your trial program or introductory course do you convert to paid enrollments? In each case the targeted outcome results can be improved significantly by a well designed process that employs the psychology and science of conversion. Doubling the profit and/or enrollment at your school is not only possible, but also a reasonable objective; however, accomplishing that goal will surely require doing some things different than you have been doing them. ← How Do You Handle Info Calls About Your School?